Seven-twenty-seven is a luxury studio located in the Lower Village. Summer or winter, this location is unbeatable for anyone looking to have a relaxing experience or just set up their home base to all the activities Panorama has to offer. Walk just steps to the Toby Chair lift and then ski right to your door. Enjoy the morning sun and the evening shade inside or on your lower covered deck. Seven-twenty-seven is well equipped to handle all your vacation lodging needs and wants. Our family has been visiting Panorama for 30 years. The village is second to none…and we have visited a lot of resorts. We love the ability to be active or just relax. Our children, who were young when we started coming to Panorama, have come to love it here and have started bringing their young families too. After many years of visiting Panorama and staying in various locations on the hill, it was unanimous…all our family wanted to be situated in the lower village. Horse thief offers larger spaces for one to spread out a little more, but the top criteria for choosing our Panorama property was that it needed to be in the lower village and ski-in/ski-out (to the door) accessible. We believe we found it in this condo. We have no neighbors across from us, and while you can walk to the restaurants, bars, and hot tubs, none are within hearing distance. Lots of great activities going on. You can choose to take part or just lay back and enjoy. Careful you don't go through the entry door. Kitchen is well stocked, well designed, easy to use and newly renovated. Counter height table has four chairs and lots of room for those four chairs. Just 10 km away you can enjoy the serenity of Lake Lillian. This is a popular lake for locals and visitors alike. No motor boats allowed here. Rentals are available from Toques and Tracks in the upper village. Lake Windermere is a large lake with full boating potential. This is a popular lake for anyone who enjoys boating. Patio will seat six people comfortably. Rentals are available in Panorama at Lusti's in the upper village. Located across the river at the Adventure Centre. Rentals are available here. World Class "Grey Wolf" is open May to September. One sauna is located in both the second level of Horsethief or the Upper Village hot pools. Open in the summer. Pools are located in both the Upper and Lower Village. Hot Tubs in the centre of the Horsethief complex on two levels. Hot Pools are located in the Upper Village. Perfect location, beautiful spacious accommodation and fabulous skiing-we loved it! Modern, immaculate, fully functioning kitchen, comfortable and spacious accommodation. Lovely touches included toiletries and loads of towels! Potentially an opportunity for an open fire but we didn’t worry about getting any wood (because we were lazy) as the heating system worked perfectly. The car park space is literally about 10 steps to the front door. You can easily ski in and out. Panorama ski resort is magnificent. Easy, short walk to the yoghurt pot lift to the centre to access the swimming pool and guest services. Very clear instructions sent via email to help us get around and access the whole resort. We loved it! Thank you for having us. We chose a studio for economy, but never dreamed it would be so spacious, livable and comfortable. The owners have anticipated their guests' every need - large sizes of shampoo and conditioner, hand soap, body wash and body lotion in the bathroom - even some essential spices in the kitchen. The wall bed was divinely comfortable. And the decor was thoughtfully done - as one of our kids who stopped by commented: "Swanky!" The place was clean, great location and provided us with everything we needed. 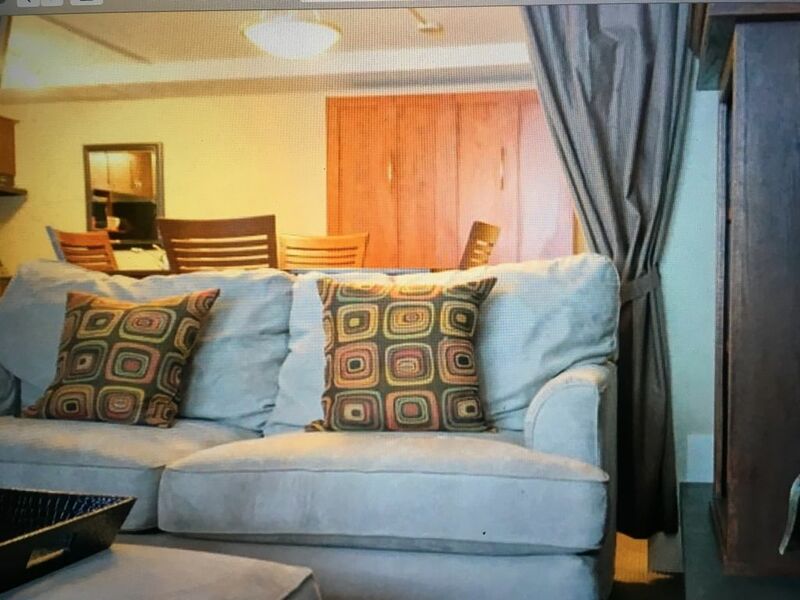 We loved staying at this condo, Kim was easy to deal with, quick to respond and we look forward to our next stay. Love the quaintness of this studio. The location is ideal for getting on the Toby Lift as well as just sitting back with a drink in hand, and watching skiers and snowboarders coming over the overpass and on to the lift. Great location right at the bottom of Toby chairlift. Can ski right to your door. We'll furnished. Owners were wonderful and very accommodating. Kitchen had everything we needed and BBQ was great to have. Village gondola is a very short walk which gives you access to upper village. One small thing is that it's a lower level unit so you can hear footsteps from the upper unit. General store is really close too for necessities our when you run out of beer! Overall, it was a great stay! Summer time Yoga in the mountains.